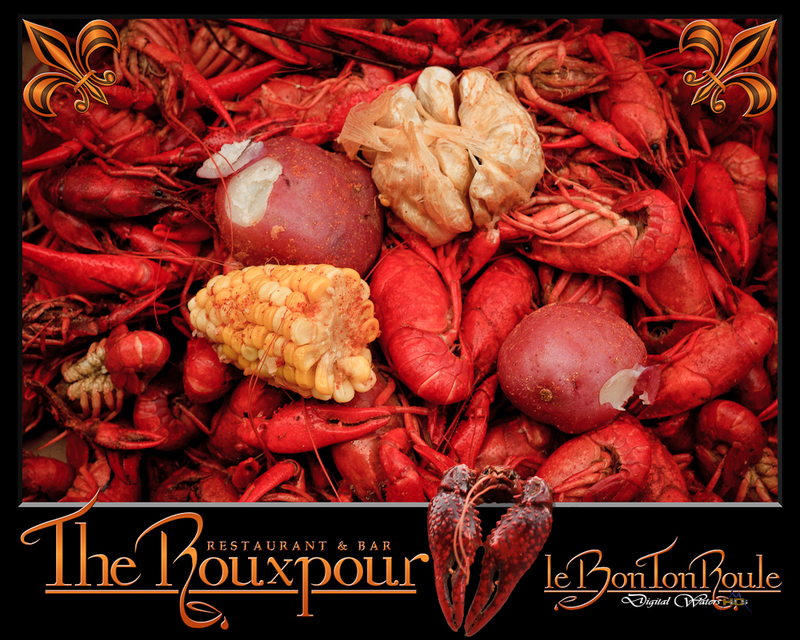 The Rouxpour Restaurant and Bar in the Sugar Land Town Square has become one of my favorite places to eat in Sugar Land. It opened last June, and I have slowly eaten my way through the entire menu. Its food and ambience is right out of New Orleans’ finest restaurants. It has, what I would call, a cozy open-air jazz motif that opens up on to two patios surrounded in wrought iron. Central to the interior is a copper topped horseshoe bar above which are large (55 inch) HDTVs to watch your favorite sporting venues. You can also expect music from a jazz combo during their Sunday brunch and some nights for entertainment. But enough of the décor, the true test is their food, and what sold me the very first time I was there, was their gumbo which is as good as I have had anywhere. It is a dark roux gumbo that is not too thick, nor too thin, not over spiced, nor under spiced, just RIGHT, as Goldilocks would say. Let them know whether you want it with chicken or seafood, and it comes with some great garlic bread for sopping up every last bit. One of their specialty appetizers is there Char-Grilled Oysters on the half shell topped with their special sauce and cheese. If you don’t like oysters, or have never tried them, try these, they are very unique. An appetizer that I can make a meal out of is their Crab Cakes. They are fried to a crusty perfection on the outside with all fresh lump crab meat on the inside. It comes with a roasted garlic cream sauce, but I prefer their spicy remoulade sauce for dipping. Whether it be the crawfish or shrimp etouffee, the BBQ shrimp or shrimp creole, the po’boys or red beans and rice with sausage, or the delicate thin-cut fried catfish, it is all excellent. If fish and shell fish are not your thing, then try their rib eye steak with a Madeira mushroom sauce or the Bourbon Street pasta with char-grilled chicken. Try to save some room for dessert if possible, sometimes I do (for bananas Foster or bread-pudding with Whiskey sauce) but often there just isn’t any room left. One of my favorite times to go is for their Sunday Brunch, which runs from 10:30 AM to 2:00 PM. It costs $25 per person for all you eat and includes bottomless Mimosas. I always eat too much when we go and require a good nap for the afternoon to digest my overindulgence. The only thing I wish they had is a hammock outside that I could swing in and rest while listening to the jazz combo playing. C’est la vie! From Mack Daddy (owner – Mack McDonald) to Linc (manager – Lincoln Ward) to Jose (chef – J. L. Quevedo) to their bartenders, waiters and waitresses and other help; the friendliness, attentiveness and welcome attitude of the staff is a reflection of their management style. 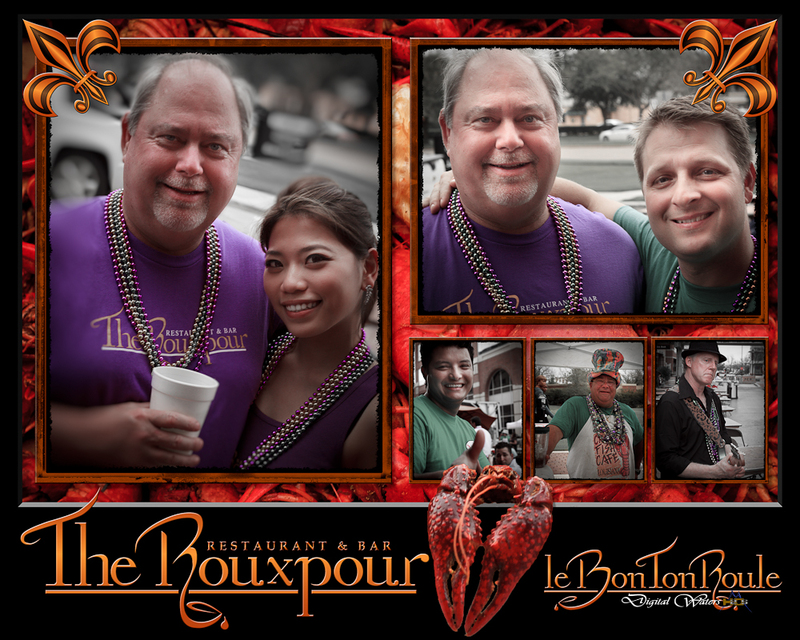 They have joined up with their neighboring restaurants a couple of times to host block parties for Fat Tuesday and St. Patrick’s Day bringing in bands, tons of crawfish, face painters for all to enjoy in an outside festive atmosphere. Definitely give it a try, say HI to Nikki, Lisa and Brian (some of my favorite bartenders). Laisse Le Bon Ton Roule.